Yorkville-area farmhouse built for "Batman v Superman." It serves as home Clark Kent grew up in. By now pretty much the whole Chicago area knows Batman and Superman have arrived for filming. 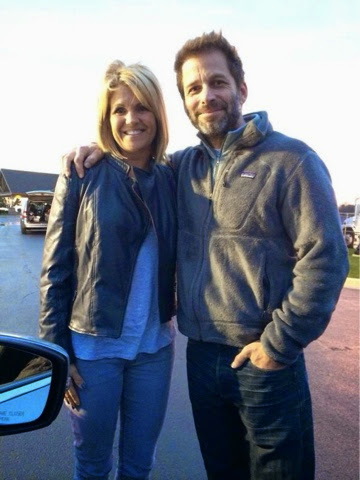 Today the cast and crew reportedly shot outside the city, where a few lucky fans met director Zack Snyder and Lois Lane herself, Amy Adams (who was also spotted as she arrived in IL). With fans and journalists looking to catch some action, we hear security was tight at today's location. There were no sightings of Superman, but fans did catch a glimpse of Diane Lane and Ben Affleck. So no Henry so far, but it's only day 1. Plus we have more than enough (1/2) smiling pics from the weekend, to keep us going for a while. For fans not willing to trekk it out to the Illinois countryside in the next few days, there's a casting call that may have your name on it! - Project Casting shared the details of the unnamed film looking for extras for this coming Monday, November 10. There is no confirmation it's for Batman v Superman, but the site says that's the only movie now shooting in Chicago. Read the details. 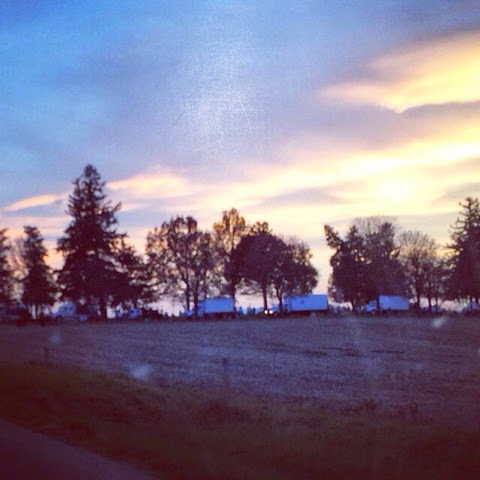 We're gearing up for a busy next few weeks, as cameras roll on Batman v Superman in Illinois. Stay tuned!